Seaport B&B offers waterfront accommodation in the heart of Sandspit, the gateway to Gwaii Haanas. 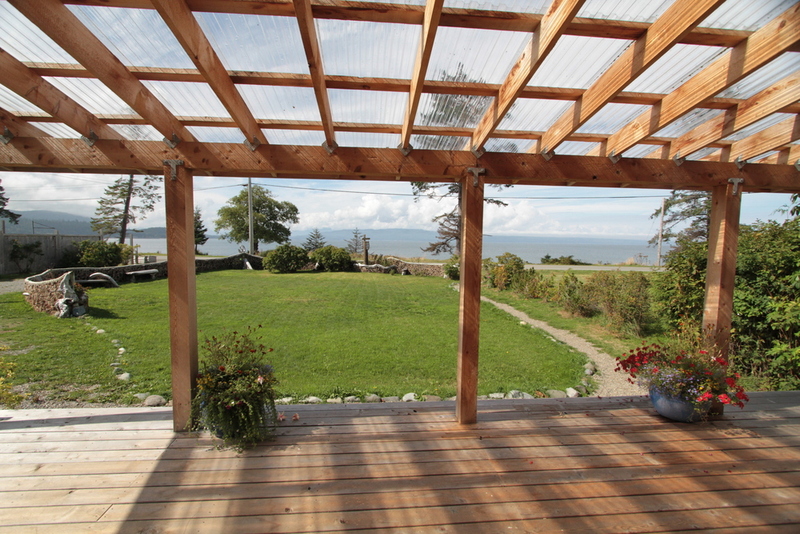 It is within walking distance of the Sandspit airport, grocery store, restaurants, services and tranquil beaches. With a hot breakfast each morning and staff on hand to answer questions and suggest activities, Seaport is the perfect place to start or end a trip to Gwaii Haanas. 8 rooms, each with 1 single bed and 1 queen sized bed. Some rooms have en-suite bathrooms and others share a bathroom in the hallway. 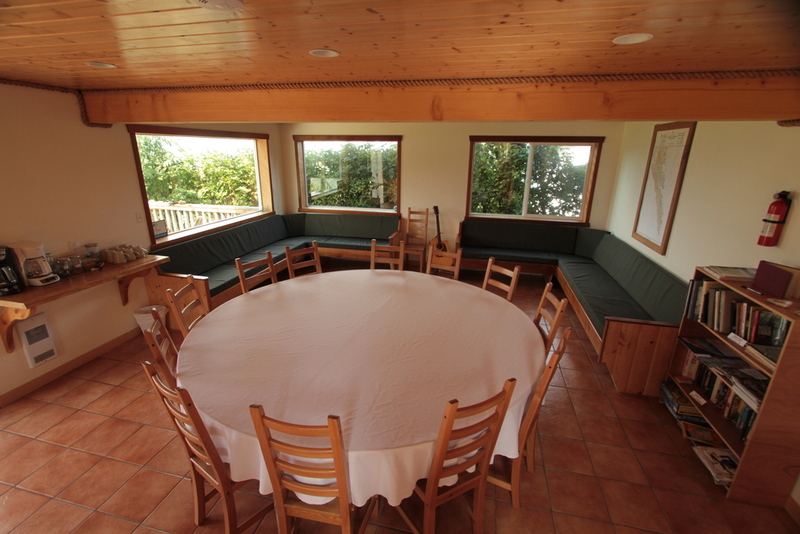 Large sitting area with a 12-person dining room table, full kitchen, covered deck and a spectacular ocean view. Prices: Rooms begin at $95/night with a shared bathroom for double occupancy. En-suite rooms are $120/night and the Master Bedroom is $150/night. This includes a hot breakfast for each guest. 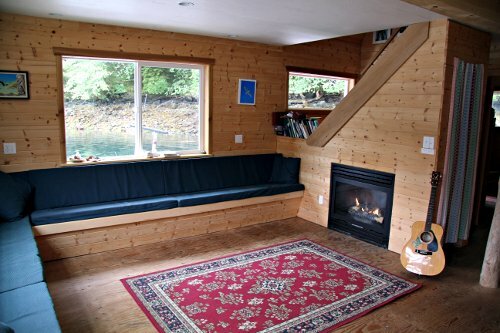 Nestled in a small cove in Crescent inlet right on the north edge of Gwaii Haanas and accessible only by boat or plane, our floating lodge is a truly unique wilderness retreat. In the summer months, it is used primarily by our two day and four day boat tours. Depending on trip schedules, it is sometimes available for private bookings. Please contact us to discuss. 8 guest bedrooms. 4 rooms have "double under and single over" bunk beds , 2 rooms have a queen-sized bed and 2 rooms have 2 single beds. Large sitting area with a 14-person dining table, gas fireplace, full kitchen, covered deck and spectacular view. Hot and cold water bathroom with a flush toilet. No shower. Prices: In the summer we primarily use the lodge for our over night tours, and your stay here is included in the tour price. Private bookings are available for $150/night/person based on double occupancy, including full meals.